Jhalawar is no ordinary town. It had so much of history around it. 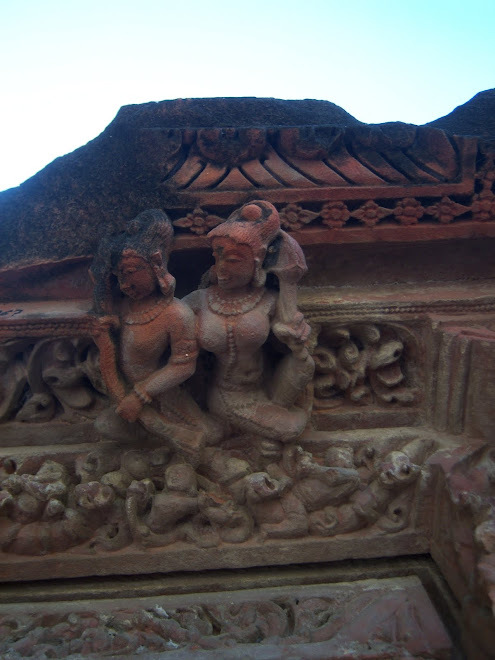 Chndrabhaga temples and Jhlrapatan were ancient towns of India Rajasthan. The trade route from India to Sumer and Akkad and thence to Europe ran through Jhalrapatan. It was an important stoppage point for the traders who moved with precious cargo of muslin, diamonds, pearls, lapis lazuli and other rare gems, spices etc. The town even today has not given up the memory of its past grandeur. The architecture of the Jhalra Patan takes you to its hoary past greatness and though the trade has diminished still the town retains pride in its glories of time gone. In my book Mona Lisa does not smile anymore I have given pride of place to Jhalrapatan in whole of Rajasthan. The cover of my book is a beautiful Devi sculpture from Shantinath Jain temple. The sculpture is carved in two types of stone and then glued together. The temple is a gem of Indian art and culture. Contemporary and modern arts of India need to draw inspiration from great art Shantinath Jain temple holds in its bosom. My book Mona Lisa does not smile anymore is also a homage to Indian art and culture and Rajasthan and Jain community hold a pride of place in it.